Liebherr Container Cranes will deliver 10 electric rubber-tyred gantry cranes (ERTGs) to Montréal Gateway Terminals Partnership’s (MGT) Cast Terminal and Racine Terminal next year. In a release, Liebherr said that the electrically-operated, environmentally-friendly machines — of which five are destined for Cast Terminal and five are destined for Racine Terminal — offer lots of benefits regarding less noise and emissions and allow MGT to keep offering its customers an exceptionally-efficient and productive service. The cranes have a safe working load of 40.6 tonnes and can handle six containers, plus a truck lane’s width, while stacking 1-over-5 high. 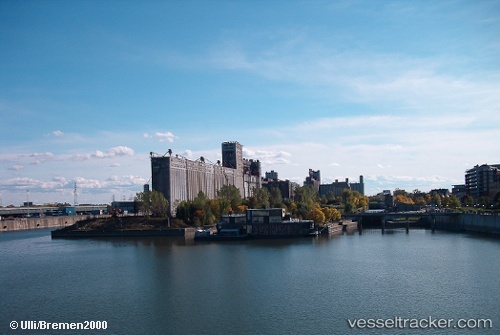 Persistent congestion at the Port of Montreal and longer than normal turn times have prompted some frustrated truckers to increase rates — $75 per hour waited per container in one case — and marine terminals to consider consider extending gate hours. The Montreal Port Authority (MPA) has opened a new shore power facility at its new cruise terminal, allowing visiting ships to turn off their engines and connect to an electrical power grid while they are docked in port. The first green initiative of its kind in Quebec, Canada, the shore power project was rolled out in two phases. In 2016, the MPA developed four power supply stations at berths 25, 27, 29 and M2 for vessels that winter at the port. To provide a sufficiently powerful power supply for cruise ships, Hydro-Québec installed a new 25 kV line to supply the new substation installed at the cruise terminal in 2016. Schneider Electric designed and built the equipment needed to install the electrical substation. These works led to Holland America Line’s Veendam making the first connection in 29 July 2017. Shore power is expected to reduce greenhouse gas emissions by 2,800 tonnes per year.